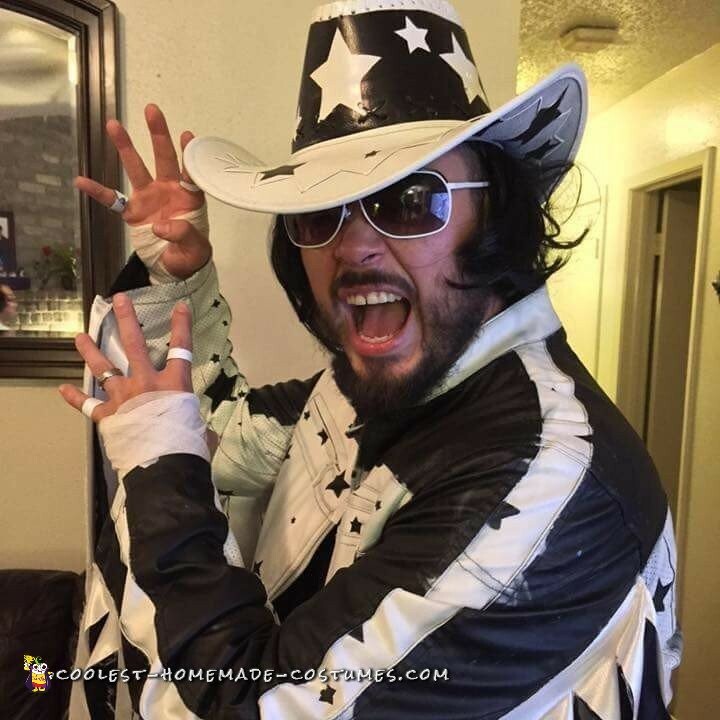 For Holloween, I decided to make a Macho Man Costume based on his interview on the Arsenio Hall Show. I spent three days on constructing it. The hardest part was just getting started. It took me awhile to find the Jacket or one similar. Black leather jacket. Bought mine at Ross for $30. Black spandex tights. Bought from Academy for around $10-15. Boot covers. Bought at party city. Black wig-used from daughters Mabel costume. White fabric spray paint. About 3 or 4 cans. Star stencils with different sizes. Once I gathered all the supplies I started to cut out all the stars out of painters tape. I would place the stars at random where I saw fit. And taped where I wanted parts to be white from the parts that I wanted black. All of the stars that I cut out would be black and all the negatives or what cut the stars out of would be white. After I taped everything including the hat, jacket, pants and the boot covers, I began to paint. I painted everything at once in about three coats. Time was a factor so I kind of rushed the paint job. After everything was dry I peeled the tape off and was surprised how well it came out. 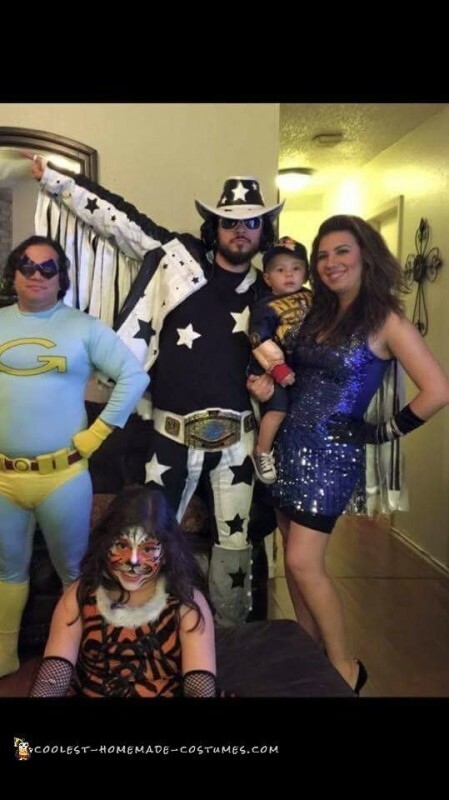 Halloween was a blast. My son was John Cena and my wife was Elizabeth. 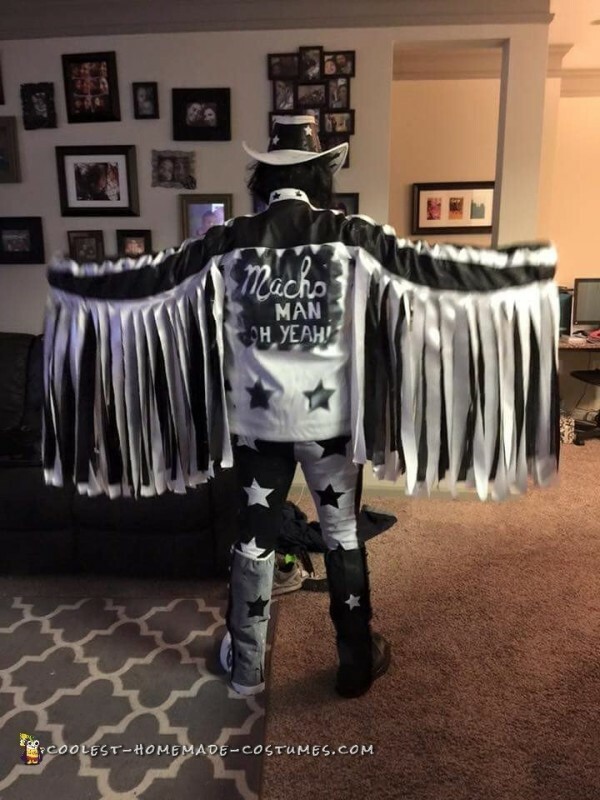 I took my son trick or treating while I played the theme music of the Macho Man. It was well received and took lots of pictures from random people. 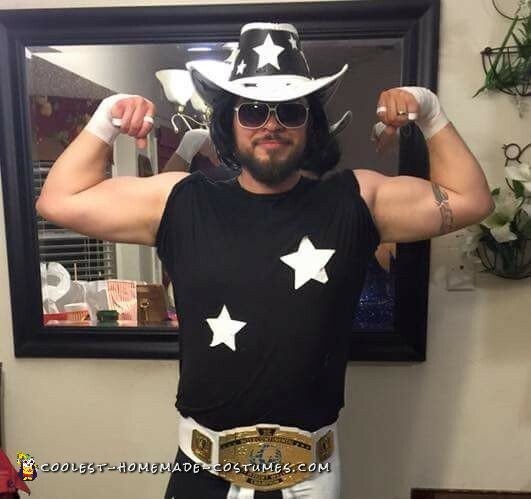 Recently bought a WWE replica big gold belt to go along with the costume.